The small and compact Samsung ML-3712DW monochrome laser printer is an impressive workhorse for the small office because of its fast print speeds, Wi-Fi connectivity, and improved paper capacity. The Samsung ML-3712DW is indeed a high-performance single-function device that allows users to save money and paper in the long-run, but the outdated design and the absence of some essential features might get in the way of productivity and creativity. Measuring 10 inches tall, 14.5 inches deep, and 14.4 inches wide, the Samsung ML-3712DW is among the smallest monochrome laser printers available, with a simplistic appearance and an easy-to-operate interface. The ML-3712DW printer comes with built-in Wi-Fi and runs on a 600MHz processor with 384MB of RAM. The paper input tray is on the front face panel of the device, while paper exits from the top centre. Wi-Fi is easy to set up and activate with the touch of a button on the control panel. The Samsung ML3712DW black and white laser printer works fast at up to 35ppm, and speeds are not compromised when the device is being shared by a small workgroup. The ML3712DW monochrome printer is compact and ideal for cramped and cluttered desktops. Users can save paper and prolong the life of the toner when using the ECO button of the Samsung ML-3712DW. 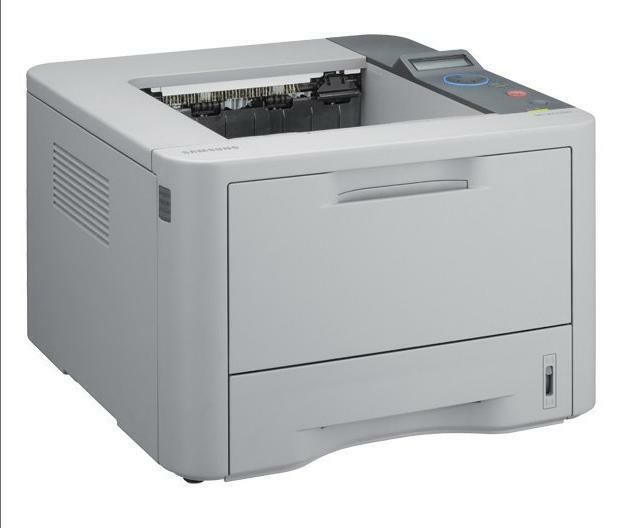 The Samsung ML-3712DW laser printer can be shared by a workgroup only via Wi-Fi only; there are no options for direct printing or Ethernet connectivity. The industrial design looks old-fashioned for the modern office, and the LCD display screen could be bigger for easy viewing. Another problem with the Samsung ML 3712DW is the significantly expensive toner costs. The device is heavy, too, weighing almost 10kg. Another drawback is the absence of colour printing, which could get in the way of creative projects that need colour.